Our quality Compressor Valve Assembly and steel valve plates are available at the least market price. Our products can easily fit in to any kind of industrial machinery and enhances the output as well. 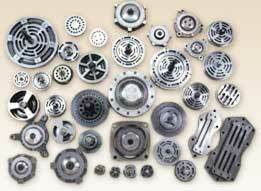 Our products are ordered from the every corner of the globe as we are the leading compressor piston supplier in India. Valve plates of different designs are manufactured as per OEM'S specifications made out of carbon steel, S.G. iron castings, graded closed grained cast iron etc. and properly ground to fine finish for immediate matching with the related components. Valve assemblies are manufactured in different designs viz., reed type, ring type, concentric type, channel type, dampened disc type. Valve assemblies are made out of stainless steel, carbon steel , S.G. iron etc. Valve plates are made out of flapper valve steel, spring steel. Valve seats and valve plates are micro lapping finish to ensure zero leakage.